I've been happily married for nearly 16 years now and I don't think I'd go back and do anything differently. Even though I was just out of college (our wedding pictures make us look like we were in high school), I think all the decisions I made were the best they could be for where I was then. 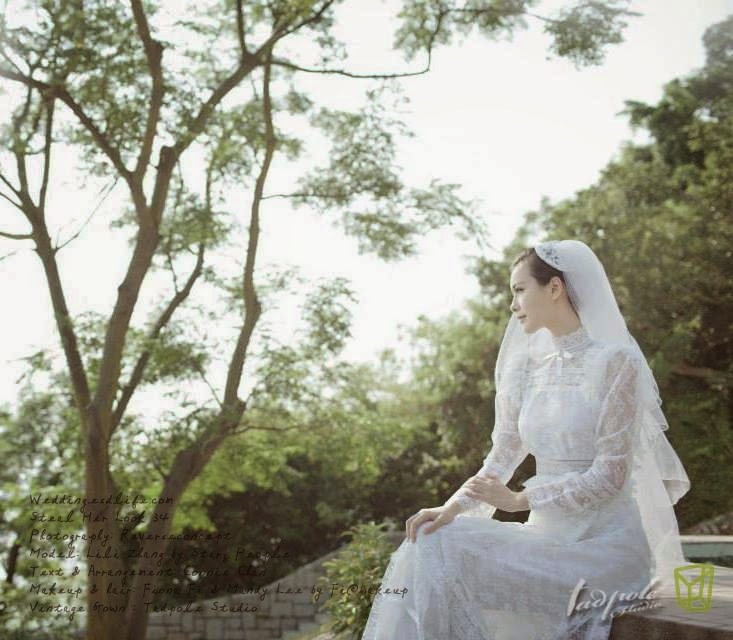 Still, a girl never stops dreaming about weddings. Spring and summer are the seasons for weddings now, aren't they. So naturally, I feel like weddings are springing up all around me. Last summer our girls were flower girls in a beautiful Colorado wedding and this year, both colleagues and friends are getting married. Sigh. So, if I were ever to do it all over again, I'd have a vintage wedding. I'd incorporate many more DIYs. I remember early in the planning for my wedding, my hope was to look like my grandmother in her wedding photo. Dreamy. Vintage. Classy. I just didn't know where to start to find a vintage wedding gown. Anyhoo, a little while back a lovely lady named Aurora Wah contacted me to see if she could share her services with my readers in a guest post. Basically, she is in the business of helping people have the best wedding they desire (namely, helping them find wedding photographers). She also researches and writes articles about other wedding related things so I asked if she could put together an article about finding vintage wedding dresses right here. So, that's exactly what she did. If you are a die-hard Downton Abbey fan like me, you have probably dreamed of wearing an elegant vintage wedding gown similar to Lady Mary’s and Lady Edith’s on your special day. But in the midst of the commercial concrete jungle of Hong Kong, it may pose as a challenge to find a unique vintage dress that is simple, classy and elegant. Thanks to our team of experts at Precious Moments, we have scoped out the entire Hong Kong to find the hidden gems that sell vintage wedding dresses in Hong Kong! Growing up in Sheung Wan, Mrs Vintage founder Constance was always surrounded by a sweet sense of nostalgia when walking around the old heritages, antique stores and flea markets of her neighbourhood. In order to pursue her passion, Constance decided to launch Mrs Vintage in April 2011 to share her love for all things vintage in Hong Kong. Mrs Vintage includes a range of hand-picked vintage clothing and accessories from all over the world and from the golden era of the 1920’s to the 1970’s. Before you step into vintage wonderland at the Mrs Vintage store, don’t forget to make an appointment! When Satis-Factory first opened, it was a store that primarily sold vintage Gucci and Dior bags. However, after the misfortune of someone breaking in and stealing most of the products, it has been rebranded as a vintage store selling secondhand wedding dresses, formal wear, hats and gloves. Other than selling classy vintage wedding dresses from the UK and the US, Satis-Factory Vintage Emporium also includes a team of specialists who can give bride-to-be’s sound advice on creating the perfect vintage-themed wedding. La Comme Vintage Wedding has all you need to complete your vintage wedding outfit from head-to-toe - other than selling an array of vintage wedding dresses, the store also sells veils and handmade bridal headpieces and ring pillows. 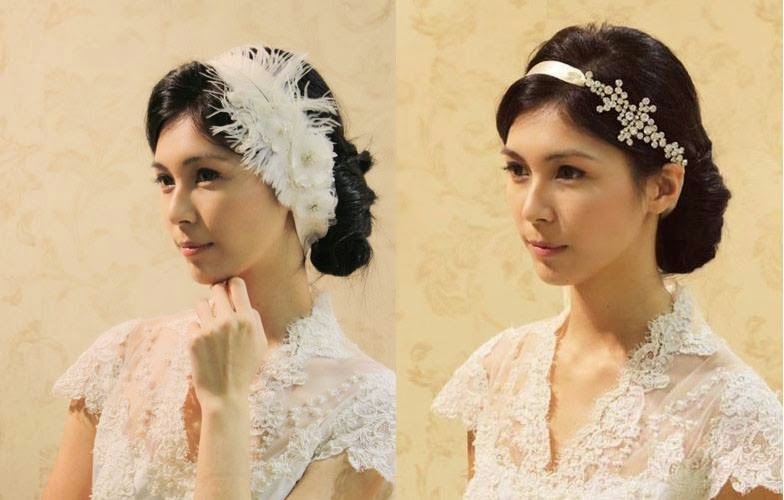 To guarantee the most pleasant experience, we recommend bride-to-be’s to make an appointment before visiting the store in the busy Causeway Bay area. Situated in the middle of central, Kir Royal aims to become the go-to wedding dress store catered to all sorts of wedding themes and styles. Out of the sweet, simplist and short collection, there is also a vintage collection that includes gowns made of Silk Cotton and Silk Organza. However, it is important to note that these vintage wedding dresses do not include original versions of the dresses from the past eras, as they are simply inspired by the fashion style of vintage wedding dresses! Vintage is their motto when it comes to Tadpole Studio. Established in 2006, Tadpole Studio sells, makes and creates vintage lace gowns and antique wedding dresses for the bride-to-be’s. Just a friendly reminder - these dresses are simply inspired by the style of the past eras and are not original vintage dresses. However, the custom-made service guarantees you the vintage wedding dress of your dreams that fits like a glove! Find out more about Aurora's wedding photography website Precious Moments by visiting it here.